Nairobi (SLL) – The Somaliland House of Representatives in Kulmiye, the 21st day of the presidential election campaign, plans to publish the media and the media at the polls on 200 occasions, including comments and ideas , as well as 20 Volleyball Tourists, who were attacked by Waddani Opposition Parties Abdirahman Mohamed Abdillahi Irro and his vice-president Mohamed Ali. The information and information obtained by the East Africa Media Center, covered the implementation of the Kulmiye party’s mandate to appoint 9 members, consisting of the Director-General and the Department of Information of the Republic of Somaliland Former Minister of Information, Hassan Omar Hoori, Director General of the Ministry of Information, Member Khadar Mohamed Cakule, National Television Manager, Member Abdillahi Adan Omar (Wayab), and Information Minister Advisor, member of the Parliament Mohamud Hussein Farah (Adan ) and vice president of National Television, member of Hussein Kurdun and Secretary General of the Somaliland Journalist Solja, as well as staff of the Somaliland News Agency, Abiib Iiman Hassan, the National TV Program Director, and Member of the Journal Yoonis Ali Nur, the Minister of Justice Information and two members still unaffected by their names. 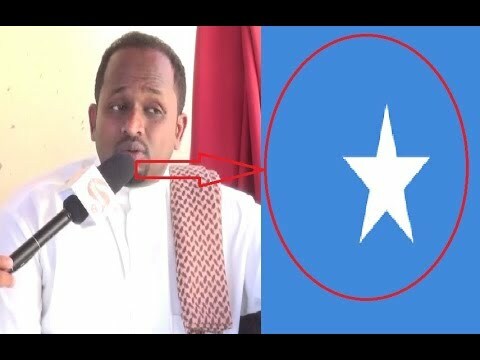 The Electoral Commission’s Electoral Commission, is the task of gathering and monitoring everything published, written by the Kulmiye party, as well as setting up a Political Strategy for their responses. In addition, the Kulmiye Electoral Electoral Cluster Electoral Cluster Committee will create or create a platform for the inclusion of a Community Development Leader in Kulmiye, as well as members of the panel have organized a series of 30 groups of artists and artists The Ministry of Information, which will take part in the festival will be held on the day of the Kulmiye party congress, the members of the Board of Directors during the 21st days of the electorate in the 10th and 11th of this month. Each of them assigns a $ 1500 operating allowance. This step, which is contrary to the process of democracy and the elections in Somaliland, as well as surrendering the rallies of the President of the Republic of Somaliland to the civilian government did not imply the challenge of national unity. Therefore, the President of the Republic of Somaliland, Ahmed Mohamed Mohamud Silanyo, the Chairman of the Sharmarke Guelleh Organization and the members of the House of Representatives, must take a stronger urgent action against the Commission, which breaches the rule of law because of the disadvantages and disadvantages of Somaliland , if you are watching and nothing is done.